…or you could just refer to it as “yet another post about worgen and goblins being the races of a (the next?) coming World of Warcraft expansion”. The debate and discussion got really heated up during the last week, when the textures for two sets of new Hallow’s End-masks were datamined… Also, keep in mind that I – as everyone else – doesn’t know anything about if this is actually true – it’s simple speculation and theorizing, things I just love to do, no matter how far fetched it might be. Masks… now? It’s the middle of the summer! Indeed it is the summer. While Patch 3.2 is possibly the last content patch before Hallow’s End this fall, that alone could be a reason. But why were the masks even added in the first place – and why did it spawn such enormous discussions about new races? 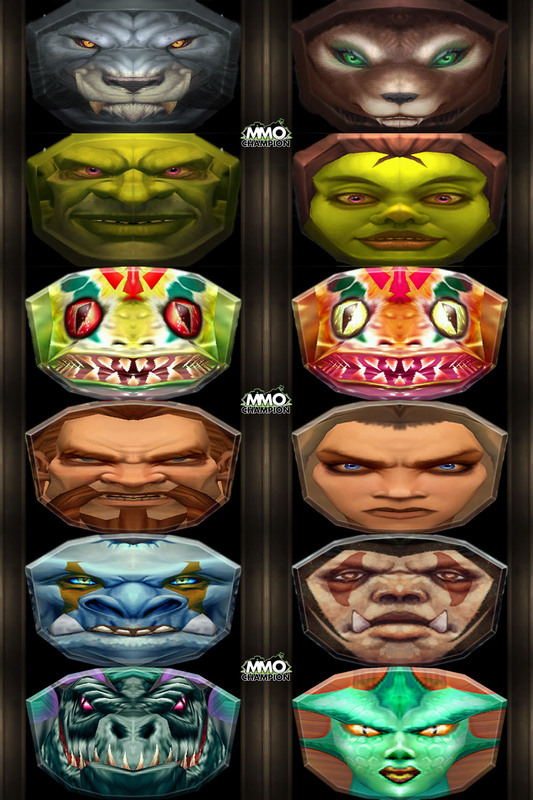 Well, the answer to that is quite simple: The currently existing masks replicates only the ten playable races. 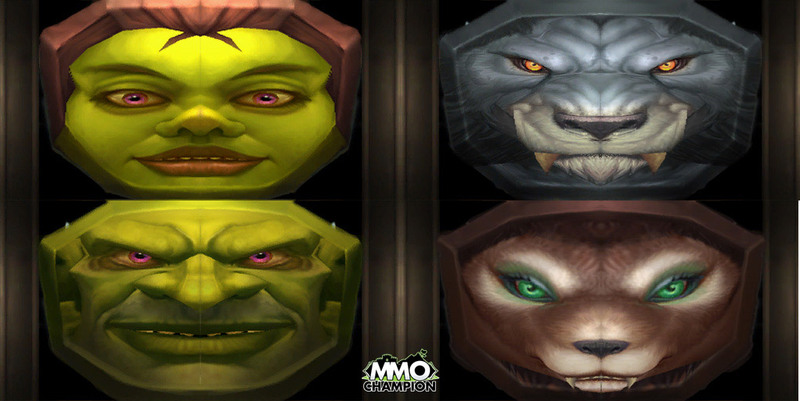 With that in mind, it’s easy to get suspicious, especially when they were introduced with a high level of detail, and the introduction of female worgen – which hasn’t been seen around. So, someone at Blizzard screwed up? Perhaps, perhaps not. Never the less, the next build introduced 4 additional sets of masks… and not really much else. These new masks had, funnily enough, mostly weak graphics – mostly noticeable by the female ogre, murloc (it’s just a recolored “male”). Even more interesting is the fact that no changes to the Hallow’s End even has been announced, or even talked about – and you’d guess they’d add something like that before adding detailed masks out of the blue. Well, just look at it the picture, and notice the difference in the level of detail. … and then what? What makes the worgen/goblin race-combination so believable? An expansion involving the The Maelstrom, which is – along with the Emerald Dream – the largest candidate for that part. Such will, most likely open up the various islands, Undermine, Kul Tiras, and thus… Gilneas. Being able to visit Undermine makes sense, and Gilneas should certainly involve those Worgen – I mean, what else is supposed to be behind that wall? The Steamwheedle Cartel is the mainly known Goblin cartel, which is neutral. However, there are four other cartels, which we don’t really know that much about. The Horde has a past with the goblins, which is very obvious from the current zeppelins, and various units up till the Second War, which is where they went neutral… the Steamwheedle Cartel did. With Blizzard being able to pull retcons, it should be fairly easy to make goblins a part of the Horde again. And what about the Worgen? Tricky one to explain the fullest, since we don’t really know what really happened with the Scythe of Elune in the end. But, the fact that it was actually (re-)recovered and used in a quest in Grizzly Hills. Since the storyline of Northrend takes place after a character of starts at level 1 – and the Scythe was lost at that point – it cannot be used as a way to explain it. Never the less, it gives a connection to the Alliance, through Velinde Starsong. Another possibility – and possibly the best one – included Alphus Wordwill, who researched the worgen curse, and might find a type of cure. But, the best part of all this, is that we know so little about the whole thing, leaving it easy to do a believable background for the race. So, is it going to happen? Who knows? I got a good feeling, but I probably won’t put as much on it as Boubouille did. We’ll see, but I do indeed want to believe it.